Barcelona is the capital city of Spain’s Catalonia region. It’s one of the most cosmopolitan cities in all of Europe with a vibrant cultural and artistic life. Barcelona also happens to be home to some of the most scenic streets and grand architectural beauties in the world. One of its most famous landmarks is the Sagrada Família church. The city also has a lot of ancient history to it, and as such there are several archaeological sites close to the city. 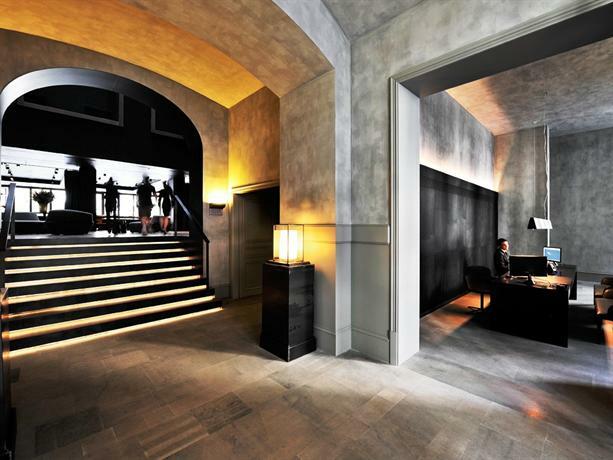 When you visit Barcelona, you should stay in one of the following boutique hotels. The Mercer is located in one of the most scenic and thriving streets in all of Barcelona — Barri Gòtic. However, it’s hidden in a quiet corner of the street and as such you can also enjoy some peace while still being connected to all the action of the city. However, one thing you should know is that there’s a Church in very close vicinity that routinely rings its bells, and as such you might find that to be a nuisance. The hotel is located on a pedestrian street, which can be both a blessing and a boon. You have to walk a few minutes to find transportation, however you at least don’t have to worry about traffic noise. The building that makes the base for the Mercer is a remnant from the medieval times, and even has an interesting defense tower as a sign of the times. 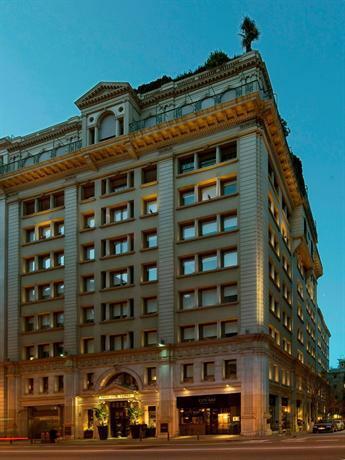 Because of this well preserved chunk of history, you’re sure to love this boutique hotel. Even the color palette used by the hotel is muted and sombre, sandy and beige predominating. The roof of the hotel also features a plethora of lovely fragrant flowers, and there’s a plunge pool in between the garden. There’s a lovely breakfast patio in the middle of the hotel, with orange blossom and jasmine being the predominant flowers. Most of the rooms are arranged around this patio so you can walk out for breakfast as soon as you wake up. 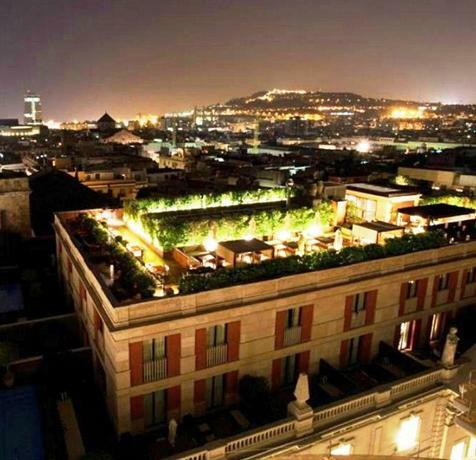 If you have a true taste for history, then you should get yourself a room in the Roman tower. 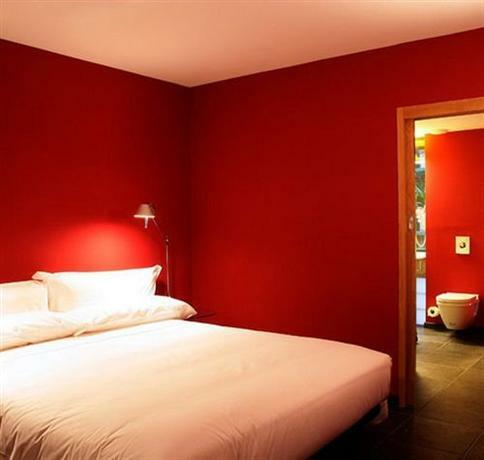 The Serras is a lovely boutique hotel located in the Passeig de Colom, and it offers a stunning view of the Port Vell. As such, depending on which room you’re staying at, you can wake up in the mornings to the sight of lovely luxury yachts docked in the Marina. However, the hotel is located on the main street, and as such you might also wake up to the sound of traffic below your window. The hotel does come with sound proofing so this shouldn’t be much of a problem. However, if you have sensitive hearing, you might be able to pick up some of the traffic buzz. The bedrooms have been designed in pristine white and chocolate brown colors. The common areas feature a color palette consisting predominantly of velvet, ochre, and steel grey shades. As such, this hotel is hip, trendy, and incredibly contemporary. Even the service of the hotel is simply splendid, and as you check in you are welcomed with a glass of cava. The rooms in the hotel are spacious and allow plenty of natural light through the floor-to-ceiling windows that look out at the marina. The rooms also have their own little balconies. However, if you want to avoid all the traffic noise, it’s recommended that you get one of the side-facing rooms, even if you do have to sacrifice the stunning port view. 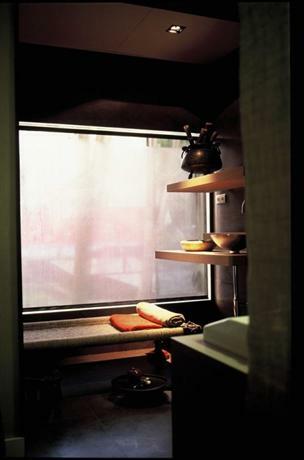 The Casa Camper is a charming boutique hotel located in a pedestrian street in northern Raval. This is an ideal location if you don’t like to be around traffic much, and in addition to that the streets immediately outside the hotel are lined with boutique shopping outlets and cafes. The hotel is right next to such landmarks as the MACBA modern art museum and La Rambla. Even transportation is easily available just as you leave the pedestrian street. The interior vibe of Casa Camper is best described as eccentric, and maybe a little crazy. The walls of the hotel are resplendent with graffiti of slogans and greetings, and the general color palette of the hotel is crimson, white, and black. This combination feels vibrant with energy and is perfect for hipsters, youngsters, and artists alike. The hotel is missing a pool, however the roof does have a lounge area where you can relax, get a drink, and interact with other guests. As such, this hotel has a really chill and relaxed vibe, which makes it the ideal boutique hotel. The rooms too feature a crimson aesthetic but they’re minimally designed so it doesn’t feel too stuffy. In fact, the rooms are really bright as they look out to the vertical garden and allow plenty of sunlight in. The Alma is the ideal boutique hotel for you if your prime interest is shopping at lovely boutiques, spending time at roadside cafes, and then fine-dining at classy restaurants. It’s located on Passeig de Gràcia, which might be a 20 minute walk from Old City, but it’s right next door to tourist attractions such as La Pedrera and the Casa Batlló. The Alma has a really unique and eccentric exterior, replete with details such as the presence of dotted lamps, and even some crazy chairs hanging off the ceiling. The hotel can perfectly blend kooky modernism, with authentic naturalism, and modern technology. The rooms require fingerprint scanning instead of a simple keycard, and the rooms have a contemporary feel with large full-sized glass walls that look out at the hotel garden. The Alma is often referred to in popular design magazines and as such it’s also one of the most popular boutique hotels in Barcelona. The hotel also features a spa and a large swimming pool in their basement. The roof has a vast sweeping view of the city of Barcelona, a view unlike any other, completely unobstructed by other buildings. The hotel 1898 is located right in the center of Barcelona. It’s in the midst of one of the most popular streets in the city, La Rambla, and as such you’ll either love the fact that you’re so well connected to all the best attractions of the city, or you’ll bemoan the fact that you can always hear traffic in the background. Plaça Catalunya is just a short walk from the hotel. However, because of the convenient location, it can also be one of the most inconvenient places during peak holiday season because pretty much all tourists come out here. If you’re one of those people who doesn’t like other tourists, then it’s best to steer clear of this. This hotel has an interesting history as it used to be the headquarters for a Philippine Tobacco Company, and they’ve retained that heritage with the use of pink and white candy stripes and a colonial intricate look. This makes the hotel look quite quirky and cool. 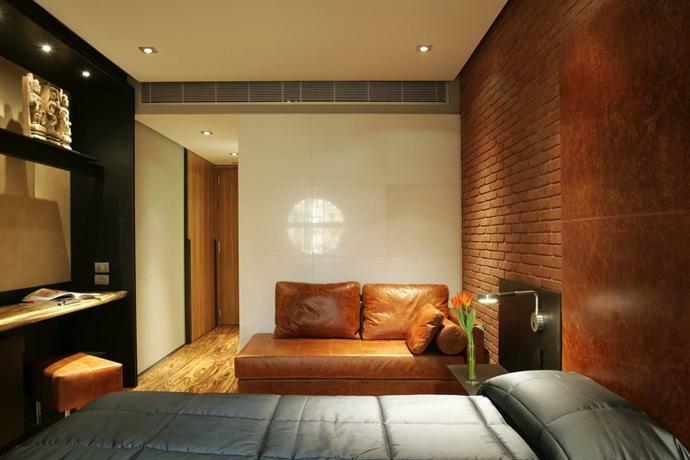 Even the rooms and bathrooms feature stripe-patterned walls and comfy cushions in the leather sofas. The deluxe rooms also come with their private terraces, however all the rooms at least face towards the patio and allow plenty of natural light into the room. If you want to feel like you’re in Willy Wonka’s land, then this is the place for you. 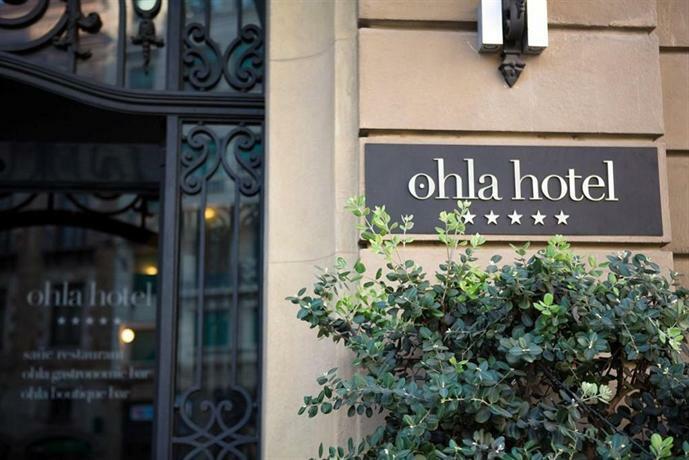 Ohla is a boutique hotel located in Via Laietana, which is equidistant between Barri Gòtic and Born. As such, it’s quite well connected. The hotel has been designed in a really edgy style with a lobby that’s completely black, and with interesting details such as eyes emblazoned on the façade. While the exteriors of the hotel are quite hip and trendy, the rooms are plain and very conventional, even if they are luxurious. However, they face towards a quiet and peaceful street, so that’s good. This is a Villa located next to Gran Via. While this might not be the most central or exciting neighborhood in Barcelona, it’s worth it if you’re on a budget. As far as travel is concerned, you can get the metro to go anywhere you like because locations in Barcelona are often quite close together. The hotel has been designed in a contemporary and modern style, but it still comes with some antique features as a nod to the history of the city it belongs to. The rooms feature a color palette comprising mostly of autumn shades, and the walls are graced with beautiful artworks from local artists. 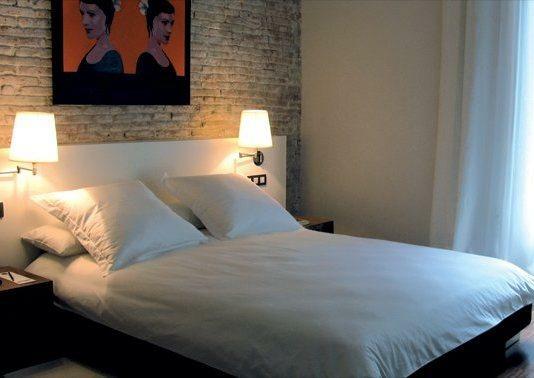 The Murmuri is a boutique hotel located on Rambla Catalunya. It’s right across from Passeig de Gràcia, and as such it’s perfect for people who love going to boutique cafes and restaurants. The aesthetic sensibilities of the hotel are quite eccentric, mixing contemporary minimalism with outcrops of baroque intricacies. 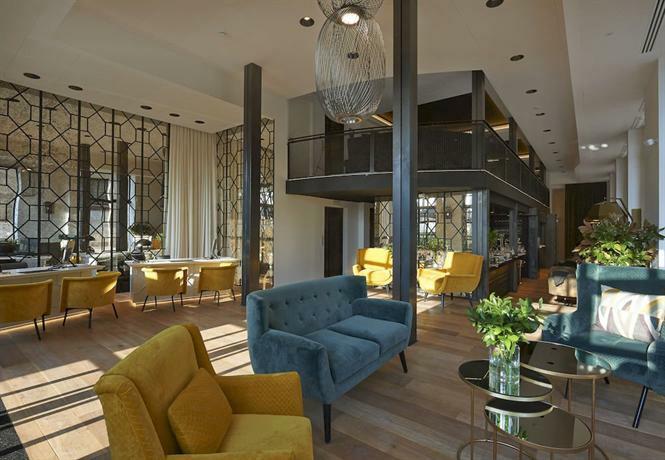 This hotel has largely been designed to cater to young people after all, and as such they make sure to create something hip and trendy, something perfect for Instagram posts. The rooms have been designed in a minimalist style with taupe shades predominating. 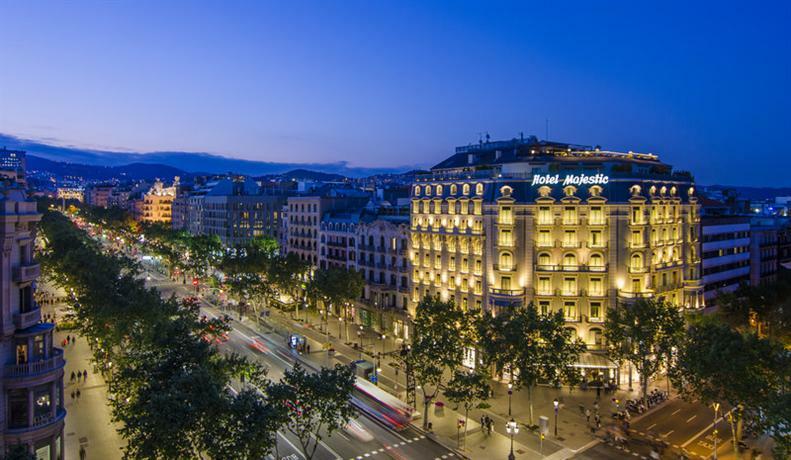 The Majestic hotel is located on Passeig de Gràcia, a street known for its fabulous boutique shops and cafes. The hotel has been designed in a minimalist yet classy style, replete with marble floors, pillars, and walls, designed in a neoclassical aesthetic. This hotel doesn’t believe in opulence for the sake of it, and as such you won’t find any needlessly dazzling displays of wealth. Instead, you’ll be met with quiet dignity, in a suitable color palette of beige and creamy tones. The Grand Hotel is located in Via Laietana, and as such it’s really close to several prime attractions of the city. For example, the cathedral is across from the hotel, and the Gothic and Born areas are in the immediate vicinity. Even La Rambla with all of its boutique stores and restaurants is a short walk away. The hotel stands out amongst all other boutique hotels in the list because it’s been designed in an Art Deco style with a beautiful reception area, complicated yet stunning geometric shapes and designs, and cool modernist artworks gracing the walls. There are 147 rooms in the hotel, and they’ve all been designed in a mix of traditional and modernist designs and motifs. 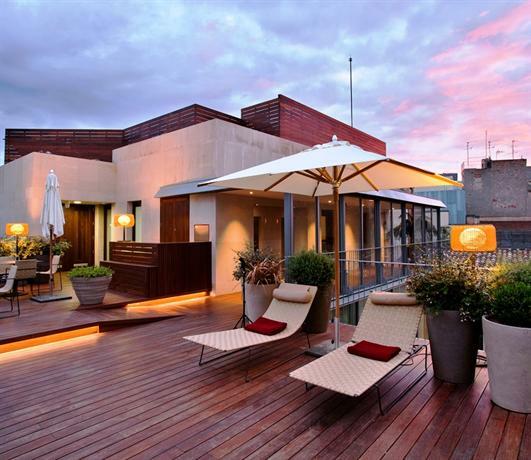 This hotel is ideal for all shoppers and lovers of art and life because it’s in the center of La Rambla, and as such it’s in the prime location of the city, within walking distance of all the tourist attractions. The hotel has been designed in a complicated mesh of ideas and influences using materials as diverse as venetian glass, gold plate, leopard skin, and ebony. As a result, this boutique hotel feels vibrant, lively, and thoroughly exotic. The building used to be the location of the Bagués-Masriera jeweller’s, and as such the hotel maintains that sense of heritage by holding a museum in the first floor that displays some of the original ornaments and jewellery designed by Bagués-Masriera. The Mandarin Oriental is a world renowned hotel franchise however they’re always able to offer something new and unique and as such they deserve a place in this list of boutique hotels. 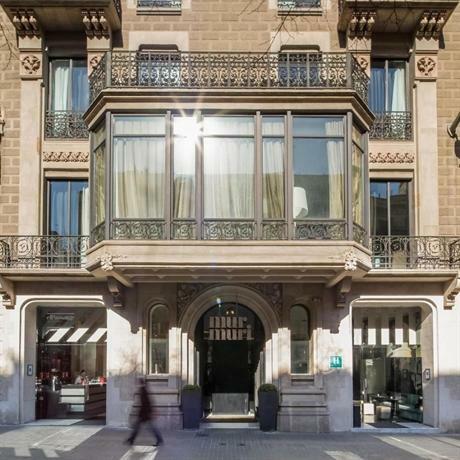 This hotel is located in Passeig de Gràcia, thus ideal for shopping, and it’s also close to several architectural landmarks, and as such it’s ideal for sightseeing as well. Some of the eccentric and thoughtful details of the hotel that makes it so beloved is the fact that it features a Mimosa restaurant just outside the hotel that guests can go to while checking in. The rooms feature creamy tones, with some cool oriental details. The5Rooms is a true boutique hotel, having been first established as a small endeavor in Eixample street. However, it was so successful that it has expanded beyond the original 5 rooms, and now even extends to another adjoining building! What makes this so amazing is the fact that it’s evident how much love and care has been taken to design each and every single one of the rooms so that it’s cosy and unique. The best rooms often feature brick walls with quirky artworks and beautiful fragrant floral arrangements. Another great thing about the hotel is that they serve late breakfast so you don’t have to wake up early. 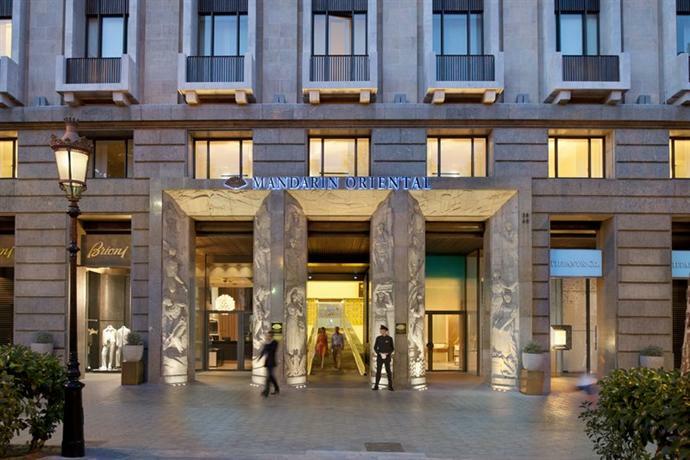 The hotel Omm is located in the major shopper’s district of Passeig de Gràcia. 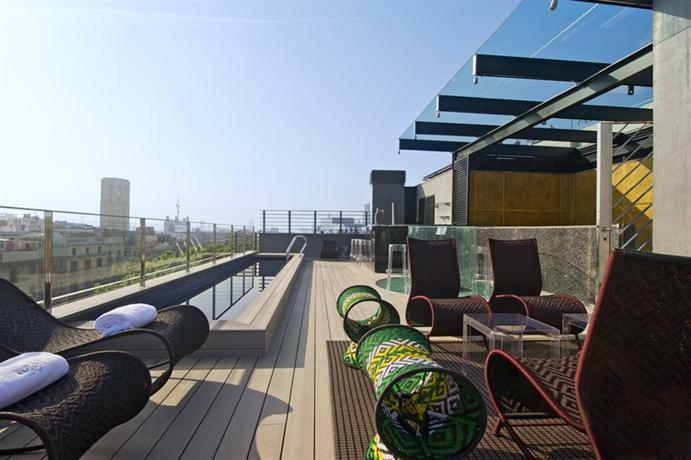 Omm is one of the first boutique hotels to have been established in Barcelona. Over time, once the trend of boutique hotels caught on, what made Omm unique has been lost in the crowd, however it deserves props for being an original. The lobby features a warm fireplace surrounded by lush leather sofas. Meanwhile, the rooms have been designed in an efficient and minimalist style. However, the rooms are perhaps the least interesting parts of this hotel. It also bears mentioning that their restaurant has a really quirky name — Moo. 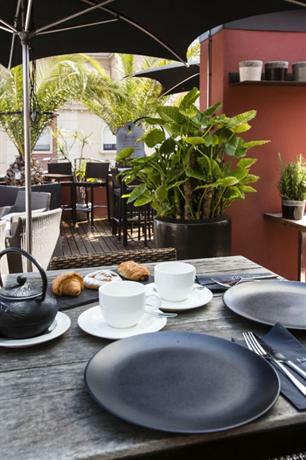 This hotel is located in Eixample, which has in recent years really become a prime spot for hip cafes and bars. The building that now houses the hotel used to be a hospital back in the 19th century, however you wouldn’t be able to determine that looking at the hotel now. All the clinical aspects have been replaced with warmth and personality. The sofas are rustic leather, the wallpapers have snake skin patterns, and several of the walls feature bare bricks and wooden panels. As such, this is a truly unique boutique hotel to explore.